Jody’s grandad gives her some runner bean seeds, which they plant and watch together. 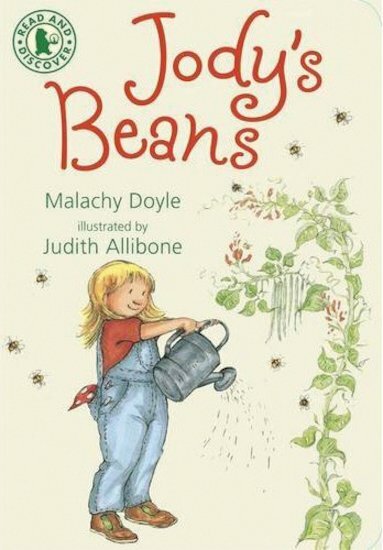 All through the spring, summer and autumn, Jody cares for her beans, watching them grow and grow. Then, at last, they are ready to pick and eat. Meanwhile, Jody’s mum has a baby growing inside her… An informative story exploring life and the seasons, from a quirky Walker series designed to build up reading skills.